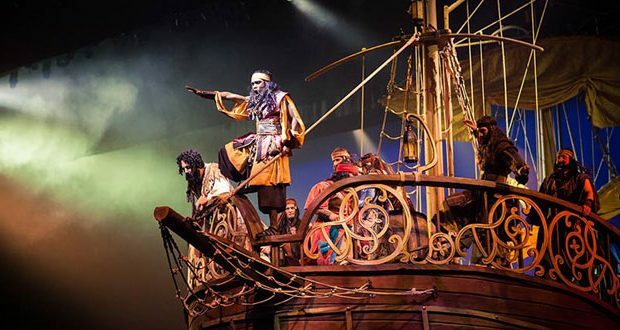 LANCASTER, Pa. – For more than four decades, experiencing one of Sight & Sound’s biblical stage epics meant a drive to Lancaster, PA or Branson, MO. 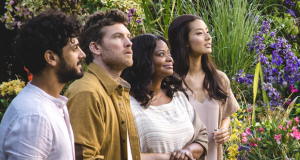 But on May 2, 2017, all that is about to change when one of Sight & Sound’s musical dramas splashes into movie theaters nationwide from Fathom Events for a special one-night presentation called JONAH: On Stage!. In addition to this incredible production, audiences will get an exclusive, behind-the-scenes look at the history of Sight & Sound Theatres, whose live stage shows have been seen by more than 22 million visitors worldwide. Filmed in front of a live audience at Sight & Sound Theatres in Lancaster, Pennsylvania, JONAH: On Stage! 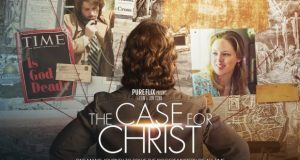 brings to life the journey of this lovable, yet stubborn prophet. The performance features humor, cinematic music, costumes and a breath-taking underwater scene featuring a huge 40-foot whale — with one big appetite! 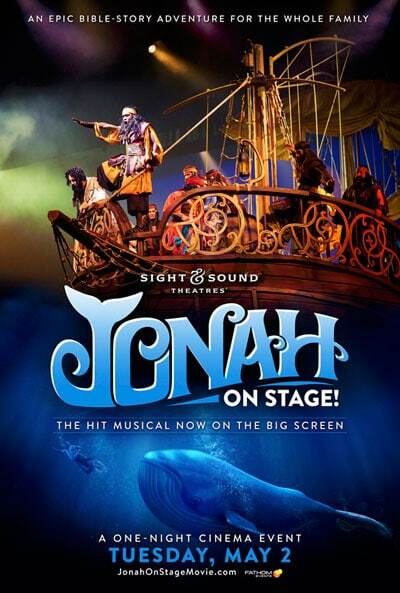 The original live stage production Jonah debuted in 2012 at Sight & Sound’s theater in Lancaster then transferred to Branson for the 2014-15 season. An encore season in Pennsylvania runs this year, March through October 2017.